Ask questions, explore answers or reach us through one of the ways below. Contact us the way you like best! Online Bill Pay gives you flexibility in how you make payments by controlling when payments are made. Check – the money will be moved from your account when the payee deposits the check. Cashier’s Check – the money will be removed from your account when you initiate the payment. ACH – the money will be removed from your account when payment is sent electronically. Get Cash Back is the easiest way to earn cash back from your favorite stores and restaurants simply by using your debit card! Find out what deals are available for you in Online Banking. Click a Deal Logo to active and view the details of the deal. Read the conditions of the deal and earn your rewards! Once you have activated a deal, it will appear on the My Accounts page of Online Banking. The deals expire so make sure to take advantage of your current offers and check back often to see your new offers. Cash back rewards are deposited into your account once a month. Direct Deposit is the safest, fastest and most convenient way to get paid. With Direct Deposit your funds are deposited into your account electronically for immediate use. Stop by an office—we can help you! Talk to the people that pay you—they will need your account number, routing number and signature. 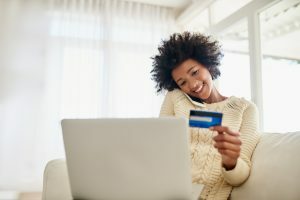 If a transaction has posted to your account without your authorization you may dispute it through Consumers Credit Union. Disputes in personal accounts must be made within 60 days of the transaction posting. Disputes in business accounts must be made within 7 days of the transaction posting. Before you begin a dispute, ensure the transaction is unauthorized. Some merchants’ names may appear differently in the transaction history. Once you have started the dispute process, we will research your claim by contacting the merchant. We may need to speak with you during the process to ask clarifying questions. If the dispute is accepted, the funds will be returned to your account within 10 days of the dispute filing. If the dispute is rejected, the funds will not be returned to your account. Please note that giving your PIN to someone to use your debit card to withdraw cash or make a purchase will void a dispute. Debit Card, Credit Card, ACH and Check Disputes – You may begin a dispute by visiting an office or calling our Member Service Center at 800.991.2221. With Mobile Check Deposit all you need is a mobile device and a check. Take a picture of the front and backside of the check, and the money will be deposited into your account. Checks deposited through mobile deposit may be subject to a deposit hold. Please check your Mobile App for funds availability. The Money Management system in Online Banking allows you to attach accounts from outside financial institutions so you may view everything from one place. Click the tabs (Accounts, Transactions, etc.) to change your view. You will need your Member Number to enroll in Online Banking. Quick Balance allows you to view your balance in the Mobile App without logging in by swiping down on the login screen. If you change your username this feature will be disabled. You may enable this on multiple devices. You can attach your accounts to Quicken or QuickBooks through Online Banking. A Repayment Plan can offer relief from having to pay back the entire overdrawn balance of your checking account at one time. When establishing a Repayment Plan, your overdrawn checking balance, up to $750*, is set aside to be repaid over four monthly installments that begin one month after the account is established. This allows your checking account to be reset to a $0 balance. You may start a Repayment Plan through Online Banking or by stopping in at an office. *Your limit may be lower. Online Banking and the Mobile App allow you to transfer money between your accounts at Consumers. You can easily transfer money to another member. To set up a transfer, you will need the other member’s full account number and the first three letters of their last name. You can easily transfer money to accounts you own at other financial institutions. These transfers can only be initiated through our Online Banking. A fee is assessed for any transfer to another financial institution. Please see our Schedule of Fees for more information. There is no fee to transfer money into your Consumers Credit Union account. PopMoney allows you to pay almost anyone using their email address, mobile number, or bank account info. PopMoney shouldn’t be used to transfer money to accounts you own at outside financial institutions. Voice Access allows you to bank by phone. Please visit our Business Services page for more information. Click here to learn how to make and collect business account payments in Online Banking. Your account number can be found on your statement, eStatement or in Online Banking. Call the number on the sticker located on the front of your new card. Call our Member Service Center at 800.991.2221. Alerts help you keep track of your accounts. You can add alerts for low balance, deposits and more. Alerts can be added for checking, savings, loans and credit cards. Follow the on-screen prompts to turn alerts on or off, update information, and add or adjust notifications. 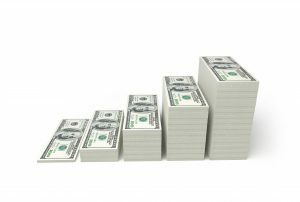 A Certificate of Deposit, or CD, is a special type of savings account that holds your money for a specific amount of time with an Annual Percentage Yield (APY) that is typically higher than a standard Savings account. A main difference with a CD is that, typically, a withdrawal during the term will incur a penalty. If you do not act within the grace period, the CD will roll over and lock into a new CD. This new CD will keep the same term as the previous CD, but the rate will be adjusted to reflect the current rate offered by Consumers Credit Union. This rate may be lower or higher than your previous rate. Courtesy Pay taps into your Overdraft Privilege and overdraws your account to pay items that would otherwise be returned. A Courtesy Pay Fee is assessed for each transaction in which this happens. We may refuse Courtesy Pay for any item that is beyond your Overdraft Privilege limit. Courtesy Pay Fees can be avoided by monitoring your accounts and ensuring you have funds available when making purchases. Please see our Schedule of Fees for our current Courtesy Pay Fee amount. Get Cash Back is the easiest way to earn cash back from your favorite stores and restaurants simply by using your debit card! Find out what Get Cash Back are available for you in Online Banking. Click a Deal Logo to activate and view the details of the deal. Once you have activated a Debit Deal, it will appear on the My Accounts page of Online Banking. Get Cash Back expire so make sure to take advantage of your current offers and check back often to see your new offers. When you make a purchase with your debit card, a hold is placed on the funds. This is called a “pending transaction.” The transaction “posts” when the funds are moved from your account to the accounts of the merchant. When a transaction posts to your account the system will consider your available balance. If the available balance (current balance less pending transactions) is negative, a fee may be assessed and the item may or may not be paid, dependent upon Overdraft Protection, account history, and Overdraft Privilege settings. For more information, please visit an office or call our Member Service Center at 800.991.2221.
eStatements offer an extra layer of security and convenience. With eStatements, your monthly statement is saved within Online Banking. You will receive an email each month when your statement is ready. Best of all, eStatements are free! Click the Go Paperless button and follow the prompts. Call our Member Service Center at 800.991.2221, or stop by an office and we can freeze or close your lost or stolen card. Are there purchases you don’t recognize? We can help you dispute unauthorized transactions and give you back your peace of mind. Our offices offer instant-issue debit cards, so your debit card replacement is only an office visit away. Replacement card may be subject to a fee. We offer a Mobile App for iOS and Android devices. You may download them for free from your device’s app store. Friendly faces await you at every office! Click here to find the office most convenient for you. Our Online Banking system offers 24/7 banking. You can open new accounts, transfer money, make payments, view transaction history, dispute debit card transactions, update contact information and much more. You will need to enroll before you can use Online Banking. You will need your member number to do this. If you have not placed an order for checks in the past, please stop by an office or call the Member Service Center at 800.991.2221 to place your first order. If you have previously placed a check order with us, you can reorder checks through Online Banking. Click OK on the pop-up. You will be taken to a third-party site to order your checks. Overdraft Privilege allows you to draw your account into the negative to pay for items you need or bills that must be paid. Whenever a transaction uses your Overdraft Privilege, a Courtesy Pay fee is assessed. Please see our Schedule of Fees for more information. Our Overdraft Protection service will transfer money from a designated account to a target account should your account become overdrawn. Example: A check to the electric company comes through for $100, but you only have $30 in your checking account. Overdraft Protection will move money from your Savings account to your Checking account and assessa fee. You may opt out of Overdraft Protection at any time by visiting an office or calling our Member Service Center at 800.991.2221. Please note that if you opt-out of Overdraft Protection, you may be assessed a Non-Sufficient Funds fee if an item is presented without funds to cover payment. A routing number, also known as the transit or ABA number, is a number that identifies Consumers Credit Union to other financial institutions within the United States. The routing number for Consumers Credit Union is 272481839. A Stop Payment may be placed on a check you have written or on any checks that have been lost or stolen. A Stop Payment fee may apply. Please see our Schedule of Fees for more information. A Travel Notice should be placed on your account whenever you are traveling outside of your normal travel area. This notice will allow your debit or credit card to work without interruption. Without a travel notification, you may find your debit or credit card blocked by our anti-fraud system. You can place a Travel Notice by visiting an office, calling our Member Service Center at 800.991.2221 or within Online Banking. If your debit or credit card is declined while you’re traveling, please call the number on the back of the card for immediate service. If you deposited a check in an office or through an ATM/Interactive Teller, you can click on the deposit in transaction history within Online Banking to view your check. If you used remote deposit through the Mobile App, please stop in an office or call the Member Service Center at 800.991.2221 to get a check image. A check copy fee may apply. Please see our Schedule of Fees for more information. You can add email and/or text alerts for credit card activity. You may also change current alerts on this screen. You can transfer balances from credit cards at other institutions to your Consumers Credit Card. You’ll probably save money in the process! To view transaction history, statements or complete card maintenance, please log in to Online Banking. Credit Cards will appear in the My Accounts tab of Online Banking. When you click on a credit card name within the My Accounts tab, you will be taken to the credit card maintenance screen. With our Mastercard® Rewards card, you earn one point for every dollar spent. You can redeem your rewards for travel, electronics, home goods, movies and games and more! Credit card eStatements are separate from your other account eStatements. If your credit card is lost or stolen, please call our Member Service Center at 800.991.2221. You can also report your card lost or stolen in Online Banking. Your Consumers Debit and Credit Card can be added to Apple Pay™, Google Pay™ and Samsung Pay. Please follow your manufacturer’s instructions on adding your Consumers debit or credit card to your mobile wallet. You can view your credit card account number on your monthly statement. We are proud to offer investment services thru CUSO Financial Services, L.P.* at Consumers Credit Union. Please visit our Investment Services page for more information. Click here to learn how you can view your investment accounts, available through CUSO Financial Services, L.P., in Online Banking. Click here to learn how to read your brokerage statement. Making bi-weekly mortgage payments will help you pay off your loan faster—and you’ll pay less interest! With bi-weekly payments you will make 13 payments in a year instead of 12. To set up bi-weekly payments, check out our guide by clicking here. A lien release is mailed to you upon your loan being paid in full. If you paid your vehicle off with a check, the lien release will not be mailed until funds have been received and the check has cleared. To receive a lien release letter by mail, call our Member Service Center at 800.991.2221. Get your loan payoff quote by visiting an office, calling our Member Service Center at 800.991.2221 or retrieving it in Online Banking. Skip a Pay allows you to skip a loan payment up to twice a year. It’s perfect when you need a little extra money during the month. There is a fee to use Skip a Pay. Please see our Schedule of Fees. You may only use Skip a Pay twice in one year. You must wait 90 days after using Skip a Pay to use it again. Skip a Pay cannot be used on credit cards, mortgages, home equity loans or Repayment Accounts. A Skip a Pay request may be rejected if your loan/accounts are not in good standing. The skipped payment is moved to the end of the loan. This extends the time you will pay on the loan by one month for each Skip a Pay completed. You can use Skip a Pay by visiting an office, calling our Member Service Center at 800.991.2221 or submitting a request through Online Banking. Change your accounts’ nicknames or hide them in Online Banking. Security Settings can be found in Online Banking. You can update your contact information through Online Banking, in an office or by calling our Member Service Center at 800.991.2221.